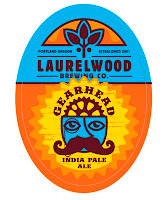 I was surprised to find out a little while back that Laurelwood would soon be unable to keep its very popular Workhorse IPA flowing. The reason, I was told, is that they do not have enough hops to brew the beer until the new harvest comes in. Workhorse, for the unaware, leans heavily on five hop varieties: Simcoe, Amarillo, Cascade, Nugget and Columbus. It's a borderline imperial IPA at 7.5 ABV, with a terrific balance of aroma, flavor and bitterness. 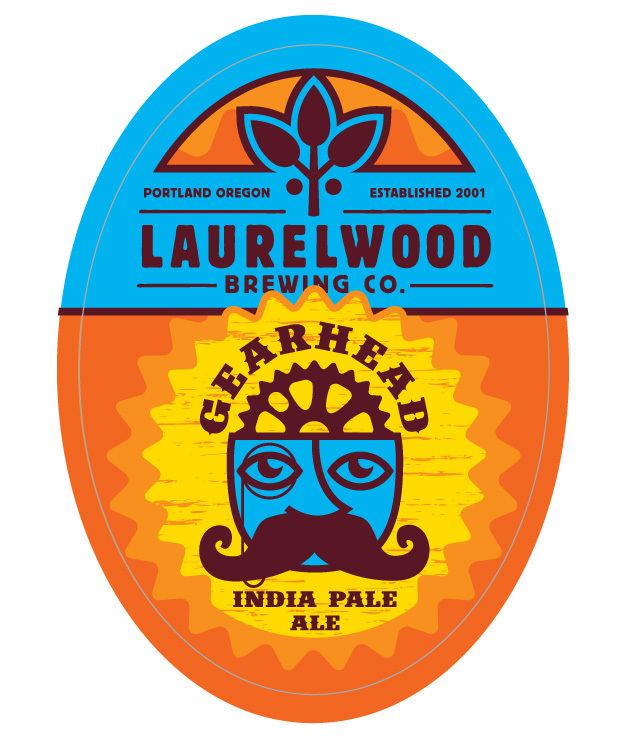 To fill the coming void, Laurelwood has launched a new IPA called Gearhead. (There are also messing around with an A-Z program, which I won't cover here.) Gearhead will evidently join the brewery's list of staple beers. It's on tap in the brewpubs and will soon be available by the bottle in area stores and bottle shops. Gearhead is a decent beer, but it definitely lacks the floral and citrus essence of Workhorse. Although it is by no means a session beer, the ABV is lower at 6.5 percent. This is more along the lines of a standard IPA. Laurelwood's owner, Mike De Kalb, told me via email that they intend to bring Workhorse back as soon as the appropriate hops are available. He also said he isn't quite sure how they will categorize it. Because Workhorse is "on the cusp" (DeKalb's words) of being an imperial IPA, there's a chance that's how they will position it in their line. I wonder. Could a hops shortage really cause something so smart to happen? In my mind, positioning Workhorse as an imperial IPA is a no brainer. Laurelwood has a great stable of beers, of which Workhorse is one. But Workhorse is a wee bit heavy to be the only IPA on their board. Adding Gearhead to the mix is a wise move because it will allow them to very soon market a near-light IPA (Gearhead) and a big IPA (Workhorse). Many brewpubs have more than one IPA...it makes sense in this market to have more than one. Laurelwood has made a lot of smart business moves over the years. The apparent plan to re-position Workhorse is just one more.